Who has inspired you to play this game at such a high level: The development of a great and organized pro tour. Love the WPH!!! Garner is often compared to Sean Lenning as both dominated young and both are the same age, with Garner four days younger. The Blond Bombshell announced his arrival in elite handball circles at the age of 19 when he fell one point shy of making the finals of the four wall nationals. He followed up that run with a victory over Ireland’s Eoin Kennedy at the 2005 Casey Lawlor Cup and was the MVP of the American Team that year. 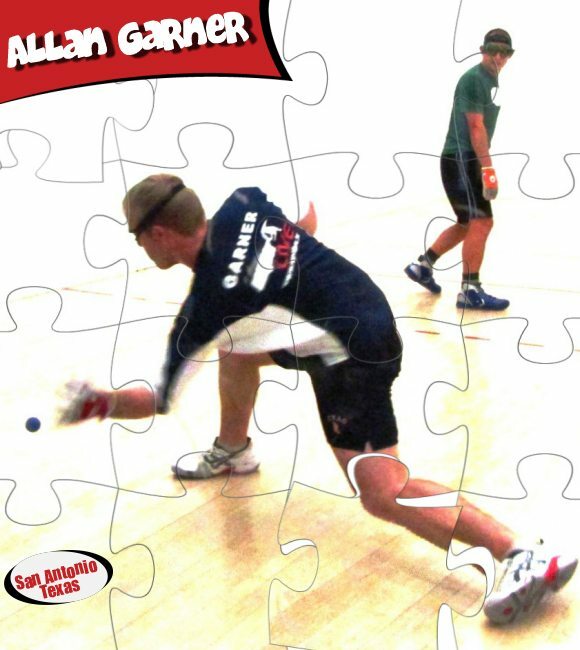 In 2009, after toggling up and down the rankings, Garner lost in a close finals breaker to the game’s top player, Paul Brady, at the World Handball Championships in Portland, Oregon. A few tour stop wins after 2009 gave Garner enough confidence to defeat David Chapman in the finals of the 2010 US Open of Handball. Garner is a threat at any tournament he enters and will be on the hunt to win at the next Race stop.